Born: 8 June 1889, Beaconsfield, Cape Colony, South Afrca. Died: 17 June 1951, Bloemfontein, South Africa. Wilhelm F.C. Arndt was the son of Johannes Arndt, a missionary of the Berlin Missionary Society, and his wife Luise Pauline, born Gruetzner. He received his schooling at Grey College, Bloemfontein, matriculating in 1905. Continuing his studies at Grey University College (now the University of the Free State), he was awarded the Bachelor of Arts (BA) degree with honours in mathematics in 1909 by the University of the Cape of Good Hope (the only degree awarding institution in South Africa at the time). After graduating he was employed as assistant in the Department of Mathematics at Grey University College for two years, under Professor J.H. Woolston*. With the help of a government bursary Arndt proceeded to Germany in 1911 to continue his studies, spending time first at the universities of Halle and Berlin, and from 1912 at the University of Goettingen. Among others he benefitted from contact with some well-known mathematicians and physicists, including David Hilbert and Max Planck. In 1916 he was awarded the doctoral degree in mathematical physics by the University of Goettingen, with a thesis on Die Torsion von Wellen mit achsensymmetrischen Bohrungen und Hohlraeumen (Goettingen, 1916, 74 pp). 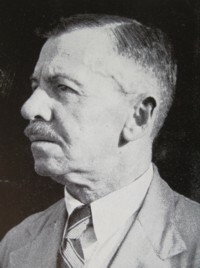 His return to South Africa was delayed by the disruptions caused by World War 1 (1914-1918), but when he arrived back in Bloemfontein in 1919 he was immediately appointed as professor of mathematics and applied mathematics at Grey University College, following the death of Professor Woolston the previous year. He remained in this post until his death in 1951. Arndt is remembered mainly as a meticulous lecturer, organiser, and pioneer of mathematical terminology in Afrikaans, rather than a researcher. He arranged that mathematics was one of the first subjects to be taught in Afrikaans at the college and made consistent efforts to promote Afrikaans as a technical language. In 1924 he published the first list of mathematical terms in Afrikaans, Wiskundige terme, Engels-Afrikaans (Mathematical terms, English-Afrikaans. Bloemfontein, 1924, 48 pp). This list was updated and expanded by Arndt and others and was included by Professor D.F. du Toit Malherbe* in his Vakwoordeboek / Scientific and technical dictionary (Cape Town, 1932). Ten years later the Suid-Afrikaanse Akademie vir Wetenskap en Kuns (South African Academy of Science and Art) requested Arndt to compile a list of Afrikaans mathematical terms for publication. The resulting list, compiled with the help of collaborators, was distributed by the Akademie under the title Voorlopige lys van terme in die wiskunde (Provisional list of terms in mathematics, 1950). This list later formed the starting point for the compilation of the first Wiskundewoordeboek / Mathematics dictionary (1971). Outside the Department of Mathematics Arndt was a respected academic and served in many responsible positions. In 1923 he acted as joint secretary of Section A (which included mathematics) of the South African Association for the Advancement of Science when it met in Bloemfontein. At Grey University College (renamed the University College of the Orange Free State in 1935, which in turn became the University of the Orange Free State in 1949) he was for a time deputy chairman of senate, dean of the Faculty of Science, and a member of council. Outside the college he was dean of the Faculty of Arts of the University of South Africa from 1935 to 1937, served on its council from 1936, and was chairman of the committee of council dealing with examinations in music. Music was one of his main interests and for some 30 years he played a leading role in the musical life of Bloemfontein. He was the organist of the German congregation in Bloemfontein and an active member of the Orange Free State Music Society. Arndt married Mathilde Maria Gertrude Brune in April 1921 and they had three sons and two daughters. Malan, A.P. Professor Dr Wilhelm Friedrich Carl Arndt (1889-1951). Tydskrif vir Wetenskap en Kuns, Oktober 1951, Nuwe reeks, Vol. 11(2), pp. 16-17. Malan, A.P. Professor Dr Wilhelm Friedrich Carl Arndt. Tydskrif vir Wetenskap en Kuns, 1951, Vol. 11(2), pp. 16-17. South African Journal of Science, 1937, Vol. 34, pp. xiv-xviii, Presidents and secretaries of the sections. University of the Cape of Good Hope. Calendar, 1910/11, University Register; 1911/12, Colleges. Voorwoord by die tweede uitgawe. In Wiskundewoordeboek / Mathematics Dictionary. Kaapstad: Tafelberg, 1987.